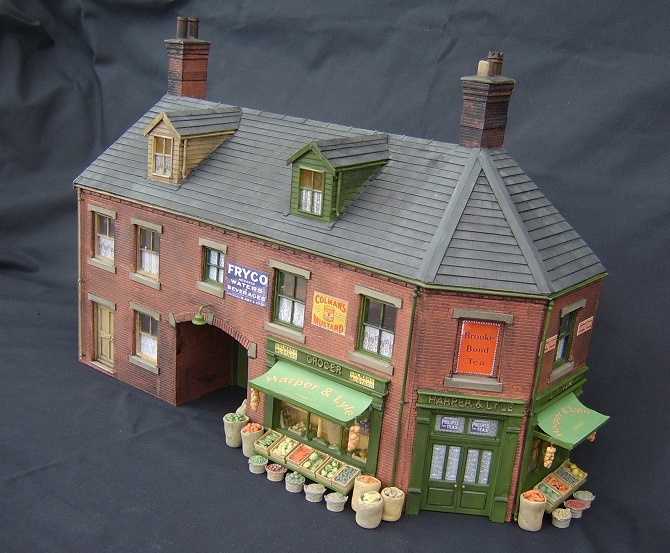 Streetscene Models are hand-made O gauge buildings. 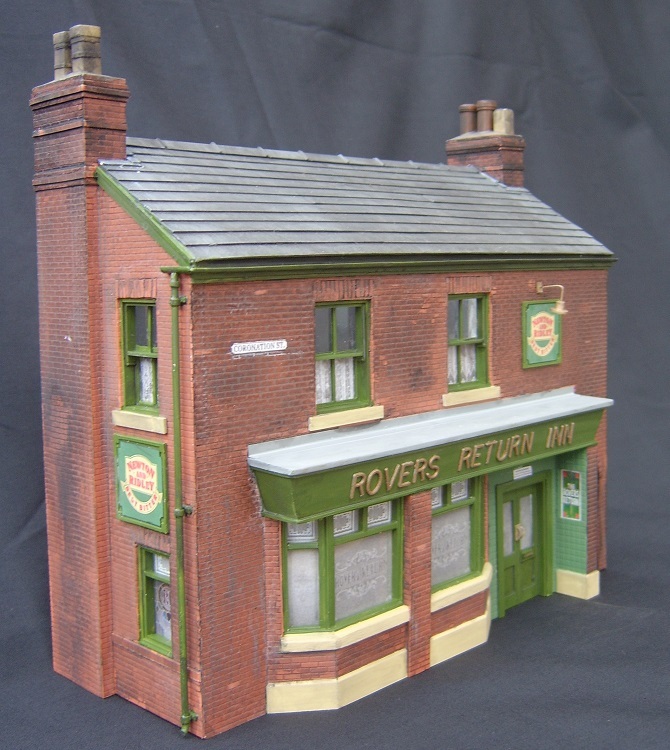 Each building is constructed out of durable Plastikard and they are delivered complete including painting and weathering. 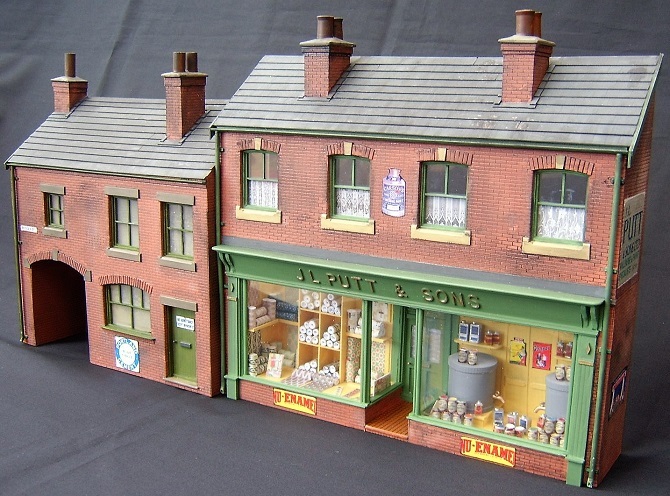 The shop window displays are also hand made. Owing to the fact they are bespoke, the overall width, depth and configuration of each building can be altered to suit. 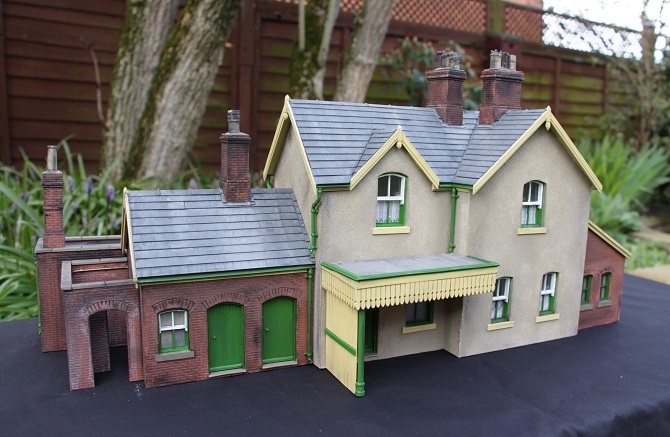 A range of low relief buildings, together with signal boxes, infrastructure buildings and one off commissions are available.